Hello, everyone! Red lipstick is one of the must-have items in every girl's kit. Every red lipstick is different in its own way and thus you can't just have one. I am always more inclined towards deeper reds as they suit my complexion pretty well. I picked up this Avon True Color Perfectly Matte Lipstick sometime last winter and I also wore the color for my 'Christmas Makeup Look with Rose Gold Glitter and Red Lips'. Also, the combination of matte and red is just dynamic. Read on to know more about the product in detail. Doesn't cake, crack or dry out. Shape the lips by defining the outer line and fill them with the matte lip color. Packaging: Avon True Color Perfectly Matte Lipstick came enclosed in a cardboard box, which I think I misplaced somewhere. The lipstick has an opaque, glossy black body with the usual twist up function. There is a small band of black matte finish with the brand name inscribed on it. Once you uncapped, the lipstick has a matte velvet black body and the shade name is written on the bottom. Overall, the packaging is light weight, efficient and travel-friendly. Shade: The shade 'Red Supreme' is a classic, slightly cool-toned, medium-deep red. This red color has a nice balance of bright and deep touch with my NC42 skin tone. In fact, this is the only cool toned red that suits me. All other cool toned reds in my collection look a bit off for me. This is surely a great rich red color for fair-medium to dusky Indian skin tones and is one of my favorite. 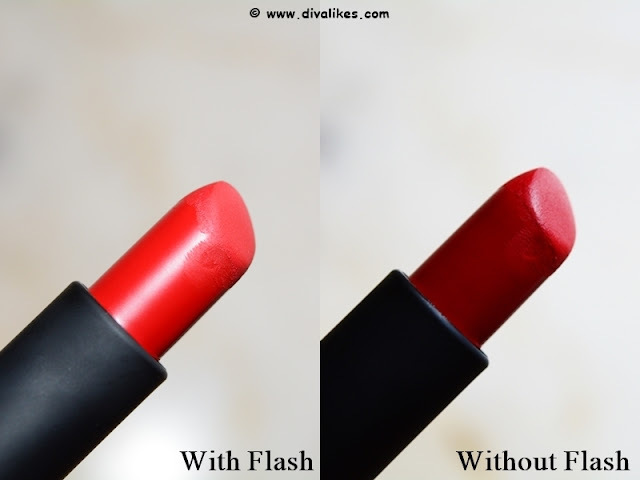 Pigmentation: The pigmentation of the lipstick is good as it goes opaque in a couple of swipes. You don't need the help of lip liner but if you want to make the color long lasting, you can use a liner underneath. 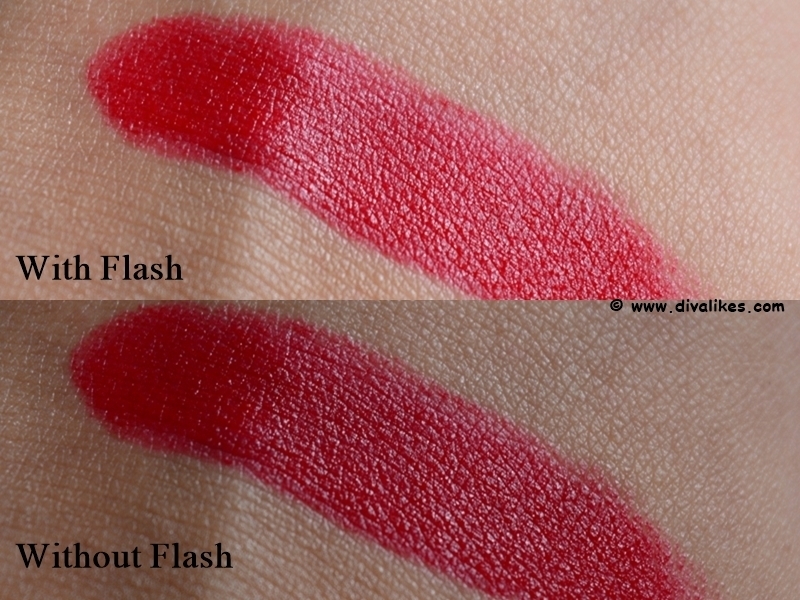 The color payoff is really good and hides all the lip pigmentation easily. Texture: The texture is one of the most important parts of a lipstick and I am so glad that this matte texture is good. It has a smooth, soft but non-creamy texture and glides on the lips really well. 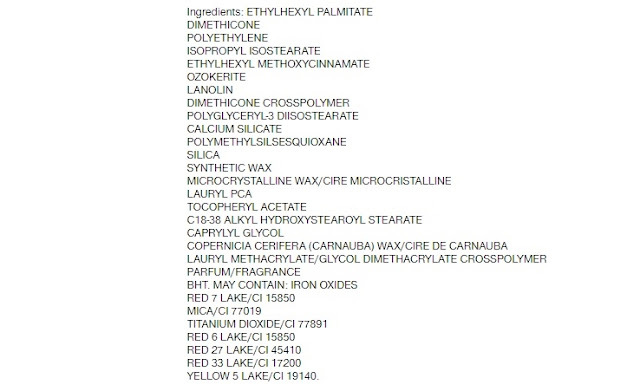 Since this is a matte lipstick, do prep and prime the lips and exfoliate to remove the dead skin cells. The color doesn't bleed or feather at all. It never settles into fine lines or looks patchy. Overall, I really find the texture workable. Finish and Formula: The range says 'Perfectly Matte Lipstick', but it looks slightly creamier matte side. There is a slight shine which goes matte after a couple of hours. However, you can always pat with a dry tissue or translucent powder on top to blot away the shine and get the complete matte look. This will also enhance the staying power. The color does transfer but very nominal. Staying Power: The staying power of the lipstick (without lip liner or primer) is around 4-5 hours and then it starts to fade out from the inner portion of the lips. For the price, I think the staying power is pretty good. The packaging is light weight, efficient and travel-friendly. The shade 'Red Supreme' is a classic, slightly cool-toned, medium-deep red. It is a gorgeous bridal color for every Indian skin tone. Good color payoff with 2 swipes. The color doesn't bleed or feather at all. This is a special red lipstick in my collection. I reach out for it on a number of occasions. And since it suits me so well with its impressive texture, formula, price tag and staying power, I would surely recommend this color to everyone. It looks so gorgeous on the lips.